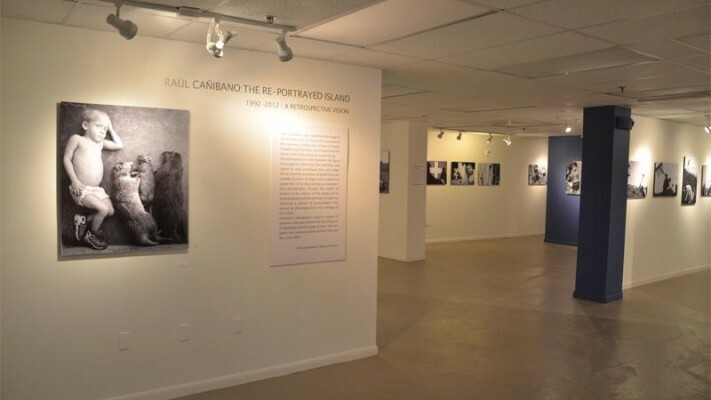 “The Iisland Re-portrayed (1992-2012)”, a retrospective exhibition by cuban photograper Raul Canibano at Aluna Art Foundation. 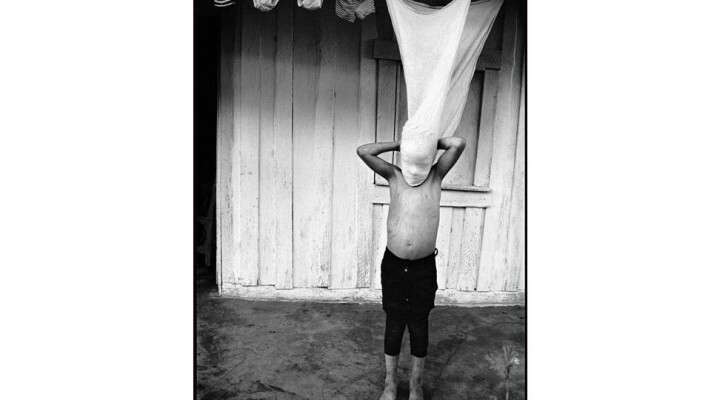 Aluna Art Foundation will present on March 9th a retrospective collection of about 80 images by Raúl Cañibano (Havana, 1962), an iconic author in the current panorama of Cuban photography and one of the most prolific documentary photographers in the generation of the 90’s. 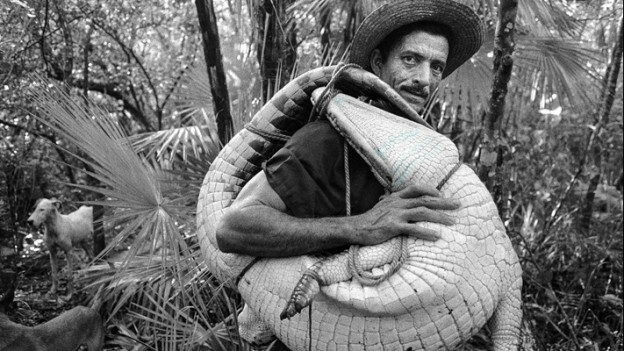 Entitled “Raúl Cañibano: The Island Re-treated|A retrospective vision (1992-2012)”, the exhibition will bring together four of the historical essays by this author: “Tierra Guajira” (Guajira’s Earth, awarded with of the 1st Prize in the National Hall of Cuban Photography 1998), “Crónicas de la Ciudad” (Chronicles of the City), “Fe por San Lázaro” (Faith for San Lazarus) and Ocaso (Sunset). 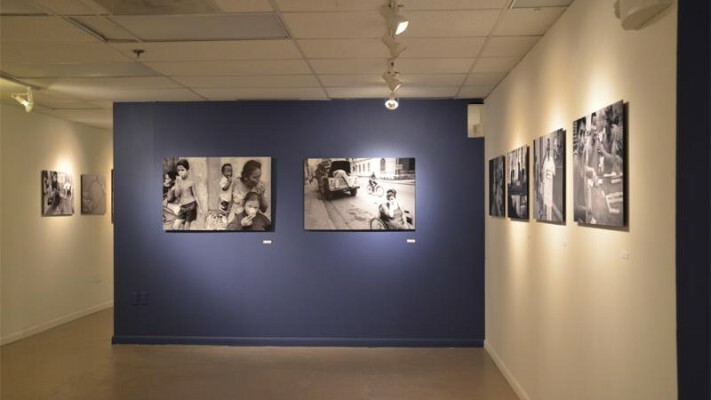 Cañibano’s gaze redefined the image of the common man in the Cuba at the crossroads of the centuries, shifting the concept of reality towards areas that were not stamped with the heroic view of the person as a social being. His anthropocentric vision goes to the generic man from the extremely vast register of what makes him up, and makes him as common as unique; as powerful as vulnerable; as comic as tragic, and as solitary as supportive. Cañibano’s photographs contain a lesson of proximity that goes beyond the scorching sun of ideologies and the shade of time: they enlighten the human condition and the link that ties us to others. 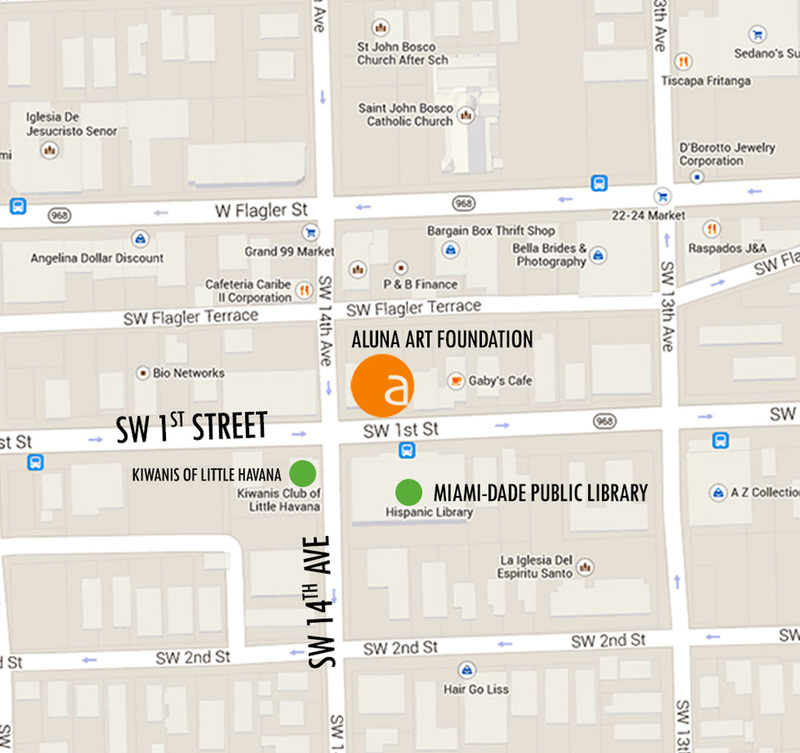 Curated by Willy Castellanos and Adriana Herrera (Aluna Curatorial Collective), this unique show will also feature two alternate spaces, intended for other thematic areas in the work of this author. In the Focus Locus room (under the title of “Insertions | possible synchronization”), will be shown a set of photographs that record the footprint of The Oneiric and The Magical in the everyday life, that quality that writer Alejo Carpentier baptized as “Lo real maravilloso” (magical realism). 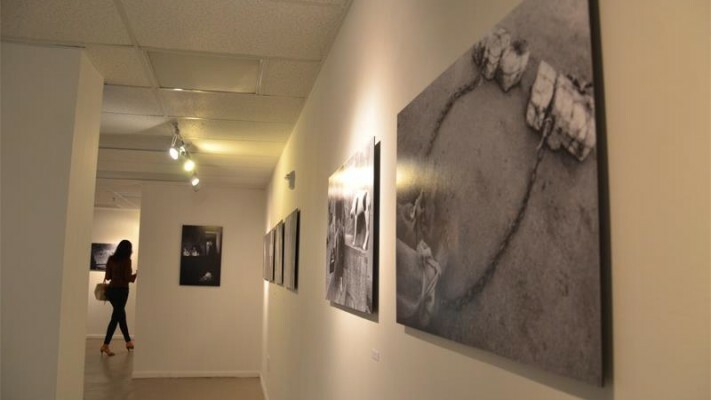 In another section of the gallery, visitors can see a photo essay (“Where the city dreams”) dedicated to the famous Havana coastline boundary wall known as “El Malecón”. 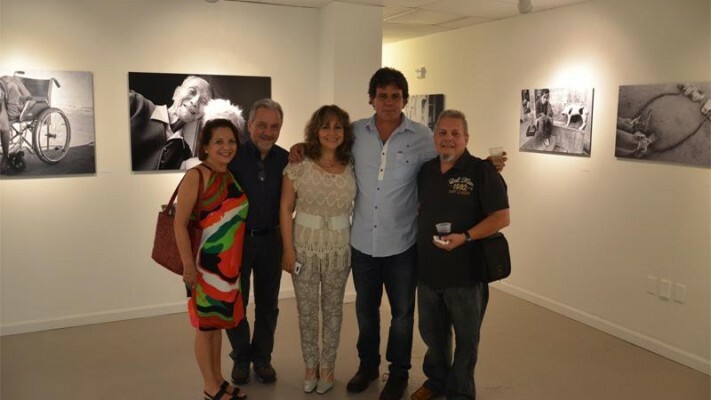 Additionally, Aluna Art Foundation will exhibit a unique collection of photographs by various contemporary authors of the island, which include the late Alfredo Sarabia, Juan Carlos Alom, Rene Peña, Rogelio López Marín (Gory), Gonzalo “Gonzo” Gonzalez, Willy Castellanos and Cristóbal Herrera-Ulaskevich. In his long journey as a documentary photographer through the streets of that Havana that is deteriorated yet intact in its fascinating vitality, or into the island and its fields populated with amazement, his gaze has recovered a manner of representation that cannot be dissociated from the ontology of the Cuban; a knowledge that is as particular as it is universal of that great river of men of all time. However, that knowledge which is open by nature is different to the other one that was at the heart of the epic iconography of the Cuban Revolution. Firstly, through the portrait of its leaders and major popular concentrations; and then, through an idealized view of workers and peasants which in the so-called “Grey Period” stood out as a metonymy of the people in the construction of the “New Man”. The end of the seventies brought with them, below the skin, the crisis of the representative paradigm of the documentary photography of those romantic years. With recourse to suggestion and then through the recurring use of an incisive metaphor, other photographers have portrayed absence as a way of projecting a reality that moved away from the existing heteronymous archive. Representation of the human being became elusive, and photography, beneath the artistic indignation of those lucid years, opened up to new conceptual systems. 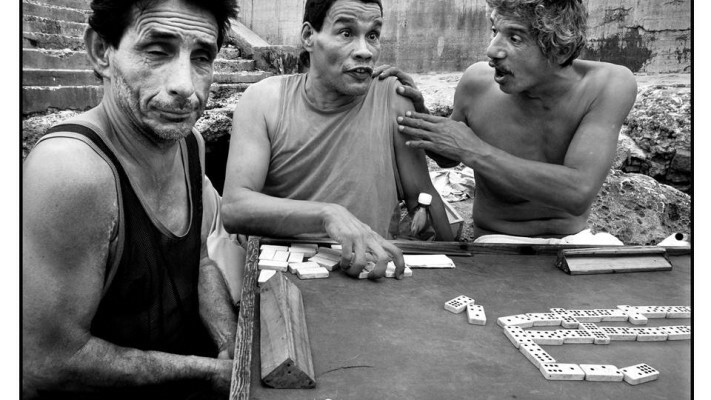 Cañibano’s gaze redefined the image of the common man through a complex documentary tradition, shifting the concept of reality towards areas that were not stamped with the heroic view of the person as a social being. 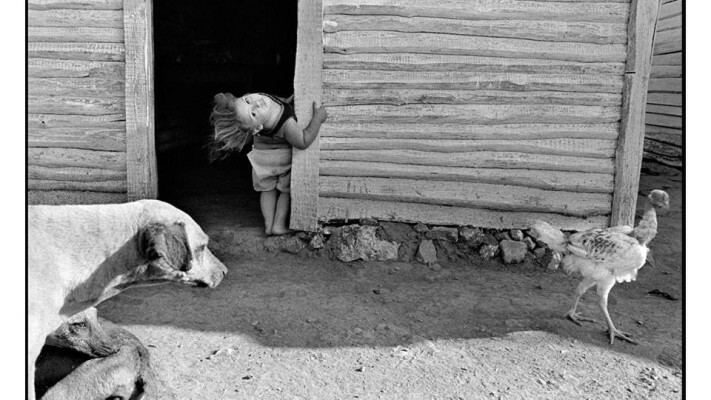 His camera does not follow leaders nor emblematic figures, but rather anonymous people who go by in the streets, and the men and boys of the countryside whom he portrays with the stark complicity of the real. 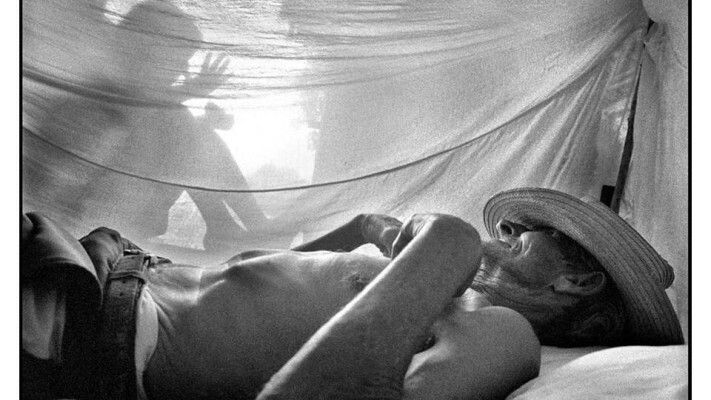 He accepts his position as a wanderer through the city and the journey to the countryside as a method, constructing a phenomenology of daily life in Cuba without metaphors, like an eye capable of capturing the extraordinary in the common instant and of at the same time creating an experience of nearness in the spectator. His series broaden the spectrum of the documentary image, recovering the infinite expressions of the individual relationship with the others, without distinguishing frontiers between public and private spaces. His anthropocentric photography goes to the generic man (boy and girl, woman, cross-dresser, adolescents or old people of both sexes) from the extremely vast register of what makes him up and makes him as common as he is unique; as powerful as he is vulnerable; as comic as tragic, as alone as social; a register that also generates an emotional response that may go from tenderness and compassion to scandal or ironic distance, and which, surpassing the multiplicity and complexity that it is capable of containing, leads us to discover that no stranger is totally alien to what we are. Cañibano’s photographs contain a lesson of proximity that goes beyond the scorching sun of ideologies and the shade of time: they enlighten the human condition and the link that ties us to others. 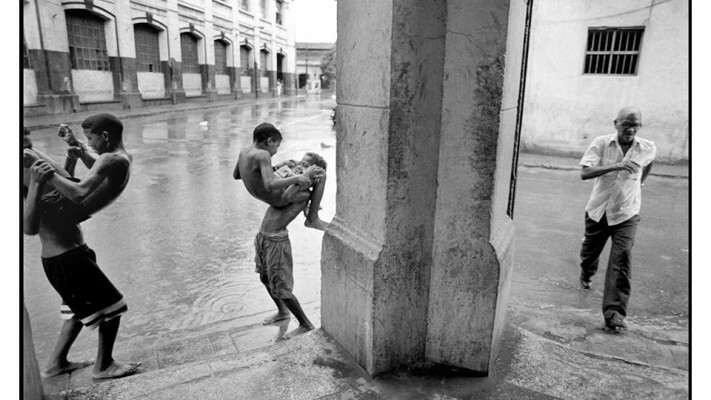 There is an infinite quantity of references around the photographic representation of Havana. Cañibano is interested in its architecture as it dialogues with the human being. The city emerges as the mirror of desires for the voyeuristic lens that follows the free wandering of the next person with its poetic charge: this is the Havana in times of leisure, where there are festivals, romance, rest and the gestures of socialization. He can catch them on the invisible stages of the street or indoors where he sometimes peers in by candlelight. His wandering camera often prowls the coast of Havana and the walls that bound it: the omnipresent Malecón oceanside walkway which is also a frontier of non-time, a space of unearthly times, of meetings and missed meetings, around which the scenes are multiplied and often tinged with that aura that made André Bretón, who was passing through the city, feel like he had entered surrealist territory. Cañibano seeks repeated forms, creators of rhythms, right where daily life reaches a mode of intensity without myth. In that City of Columns the passage of time favours narratives in bulk. Havana is superb in its deterioration, and is generous to excess in decisive instants that the photographer steals from life. Taking advantage of the order of the coincidences, he creates parallels in scenes that are appetizers to multiple potential readings, uniting situations that may have a relationship of stating or of contradicting through the conceptual charge of the image. In this manner he reconstructs life – like Joyce did in his native Dublin – through a visual approach that captures the chaotic convergence of the urban experience using the simultaneous nature of dissimilar situations. Cañibano’s gaze travels through the open city revealing its spaces, feeding off the histrionic feeling of the Cuban who, as the critic Juan Antonio Molina once said, gives himself with glee to the pose and the theatrical game. One loves Havana, although it is no longer like when Luis Cernuda saw it, “beautiful, aerial, airy, a mirroring”; and because for each Havana resident it is still the “city with most open windows”, as Abilio Estévez wrote in his Inventario secreto de La Habana; or, just as Fayad Jamis lived it: “This is perhaps the true centre of the world”. Series like “Ocaso” [Sunset] and “Fe por San Lázaro” [Faith for St Lazarus], reformulate the imaginary of two of the segments historically sensitive to the rhetoric of the press, and to an exoticism anchored in the photographic iconography of underdevelopment. “Ocaso” registers the overwhelming loneliness and abandoning of old age in Cuba, as a metonymy of the cracks in the system. These images taken in an institution or in the streets of the capital explore a facet that is not often shown but which was often visited by other documentary photographers of the nineties. 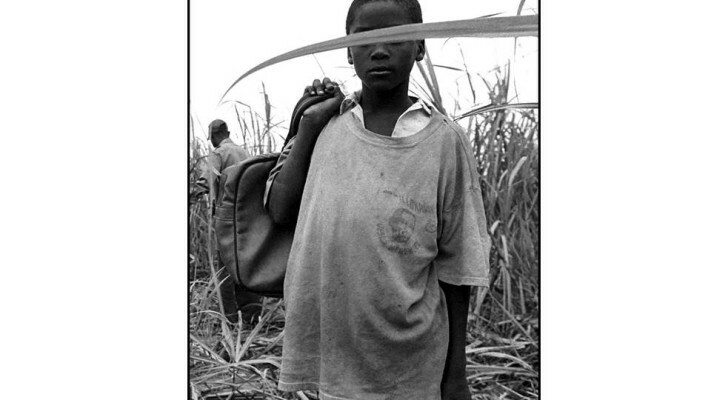 Cañibano accepts the challenge of this rhetoric and constructs an emotive social document with a strong human impact. Brimming with the elegance of visual maturity, “Ocaso” stands as a cognitive experience that works through catharsis. The series transcends the meaning of each initial shot, drawing out the tale of a world alienated by social indolence. It is a pessimistic view, but which brings out the exceptional value of the individual gestures that restate life in its unshakable dignity. An analogous exploration of the drama takes place in “Fe por San Lázaro”, a series which delves into the survival of religious sentiment in Cuba. Every 17th of December thousands of devout worshippers congregate at the Rincón Hermitage, a few kilometres away from Santiago de Las Vegas, in order to form a penitent procession with one of their most revered figures: not Lazarus, the resurrected, but the beggar in the parable in St Luke, Babalu-Aye in the Afro-Cuban religion, lord and master of the contagious diseases and protector of the sick. 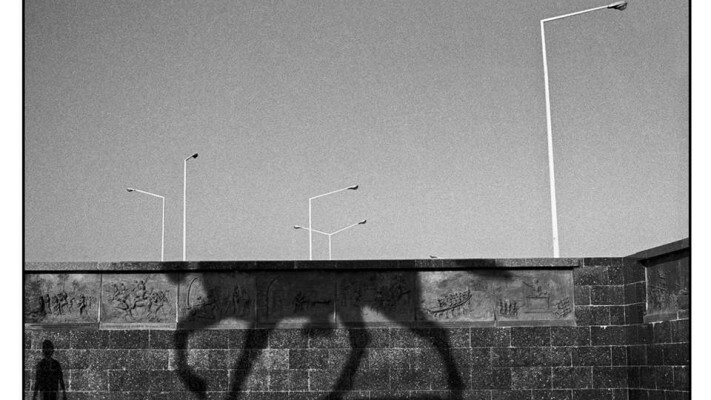 Cañibano’s photographs open a parenthesis of eloquence on this subject. The set eludes the logical sequence of causes and effects, but it manages to achieve a unique coherence thanks to the suggestive power of the close up. This grants “Fe por San Lázaro” a clear cinematographic spirit. Certain images come apart in ambiguities and are then brought together again in the spectator’s reading. Some resort to paradoxical coincidences, situations that are too fortuitous to be the work of chance, and too authentic to be the product of manipulation. All together, they synthesize that legendary pilgrimage of which the only purpose is to return the miracle of favours granted to the saint, through the coins of devotion. One Hundred Years of Solitude, one of the most important books in Latin-American literature, arises from the journey that took García Márquez, many years later, back to the land of his origin and to the desire of “leaving poetic constancy from the world of my childhood”. In a parallel manner, Cañibano felt the call of the “Tierra guajira” [Guajira Land] where he lived a part of his childhood in the Argelia Libre sugar mill in the town of Manatí, in the province of Las Tunas. 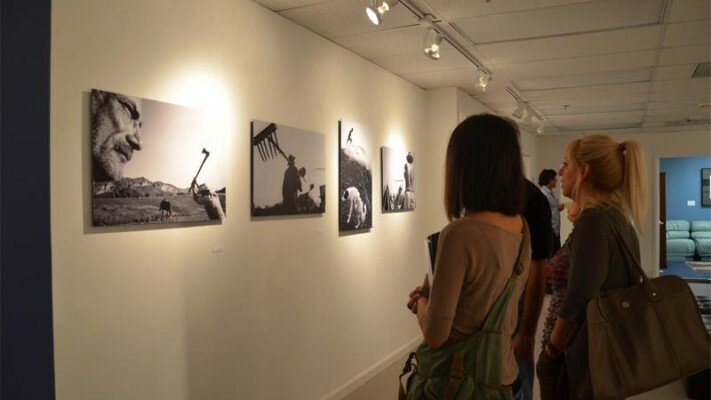 “Tierra guajira” is inspired by that return, which is as geographical as it is affective, giving rise to the most lyrical of his series, and that which defines the journey as a resource, and photography as an exercise. The series was carried out as a long term essay, and contains the poetics of an unbreakable alliance between the soil as the source of life, the man who works it and the animals that live on it. It is a stark gaze – just like life in the countryside – but one which registers the sensitivity of the country peasant through his daily ritual activity, whether at work, at celebration, or in the intimacy of those homes with their doors always open. Both the urban images and the rural ones are mainly taken of moments of leisure – that space ignored by the photography that preceded him. But while in the city one can sense an atmosphere of isolation and fragmentation, what predominates in the countryside is an inner unity that projects the imaginary of a pleasant world, without any ruptures. Thus the photographer’s simultaneous work on both series establishes a revealing counterpoint on the aesthetic and sociological level. It is very possible that the photographs of the boys may function as self-portraits, in an attempt to bring back the marks of a childhood blurred in memory. In conspiring with his games, the photographer captures a playful power capable of bending reality, and recreates a particularly beautiful instance of his relationship with the animals, built on the certainty that the life of one realm is not possible without the other one. 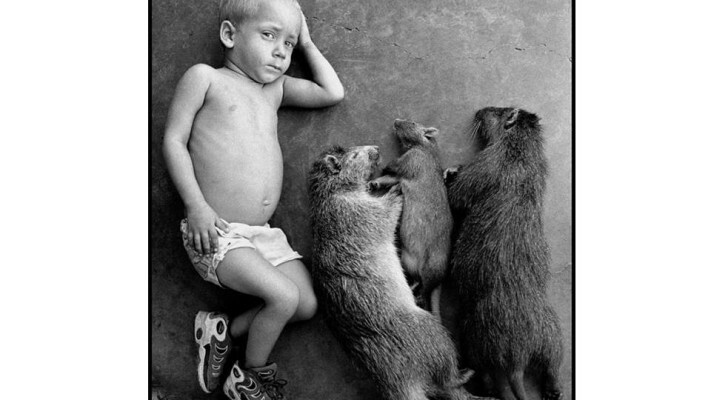 If “literature is childhood finally recovered,” as Georges Bataille states, Raúl Cañibano’s photography is the idyllic recovery of that “Tierra guajira” by means of a camera that looks at reality with the eyes of the child he was, and gives him back his innocence. Published in “Raúl Cañibano”: PhotoBolsillo. La Fabrica, Madrid, Spain, 2012. 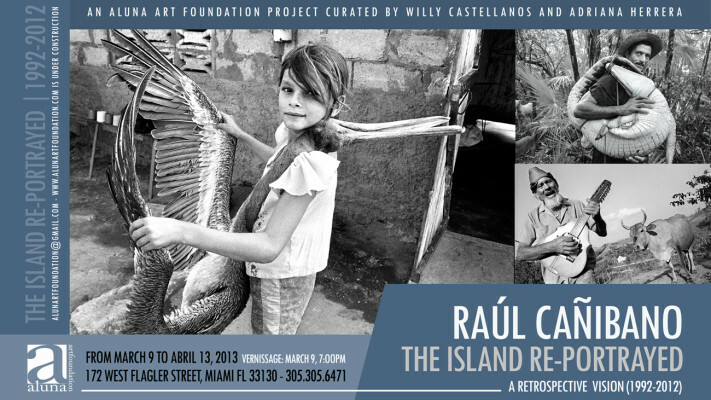 La isla re-tratada (1992-2012): exposición retrospectiva del fotógrafo Raúl Canibaño en Aluna Art Foundation. 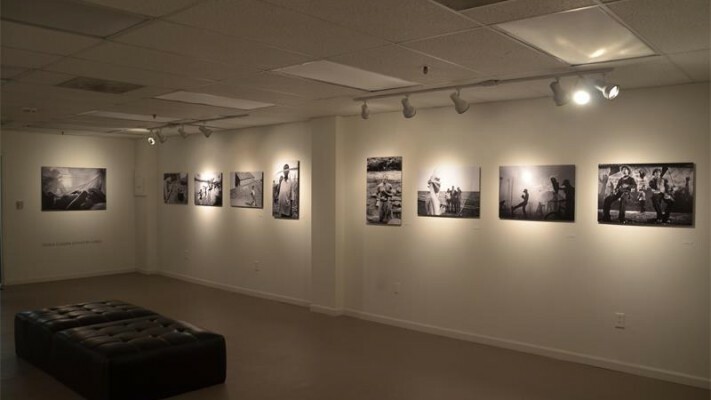 Aluna Art Foundation presentara el próximo 9 de Marzo, una colección retrospectiva de cerca de 80 imágenes del fotógrafo Raúl Cañibano (La Habana, 1961), un autor icónico en el panorama actual de la fotografía cubana y uno de los documentalistas más prolíferos de la generación de los 90’s. Titulada Raúl Cañibano: La isla re-tratada |Una visión retrospectiva (1992-2012), la exposición reunirá cuatro de los ensayos o series históricas de este autor; a saber: Tierra Guajira (ganador del 1er. 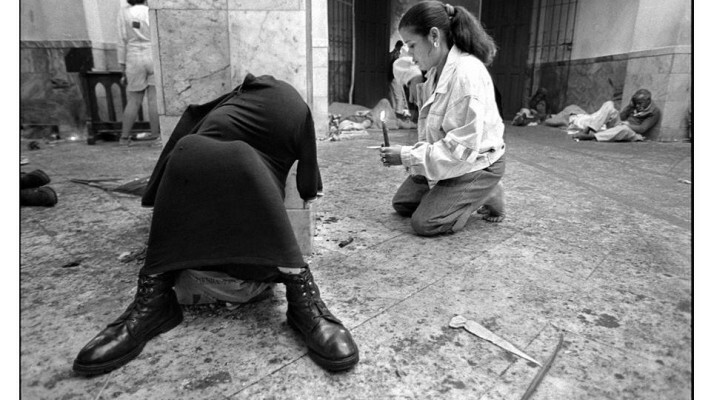 premio en el Salón Nacional de fotografía cubana 1998), Crónicas de la ciudad, Fe por San Lázaro y Ocaso. La mirada de Cañibano redefinió la iconografía del hombre común en la Cuba del cruce de los siglos, desplazando el concepto de Lo real hacia zonas no acuñadas por la visión heroica del sujeto como ser social. Su mirada antropocéntrica va al hombre genérico desde el vastísimo registro de cuanto le constituye y le hace tan común como único; tan poderoso como vulnerable; tan cómico como trágico; tan solitario como solidario. Las fotografías de Raúl Cañibano contienen una lección de proximidad que escapa al quemante sol de las ideologías y a la sombra del tiempo: alumbran la condición humana y el vínculo que nos anuda a los otros. 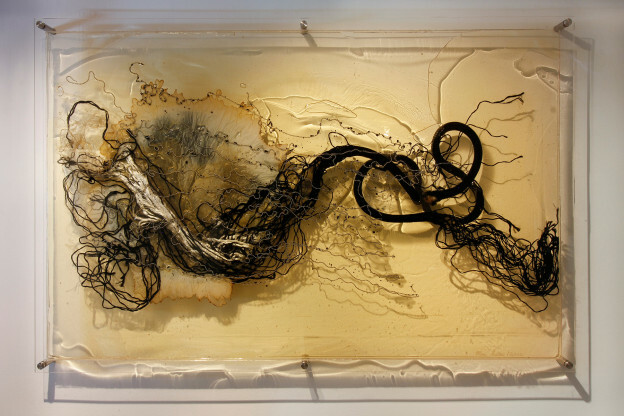 Curada por Willy Castellanos y Adriana Herrera del Colectivo Curatorial Aluna, la exposición contara además con dos espacios alternos, destinados a otras zonas temáticas de la obra de este autor. En la sala Focus Locus, bajo el titulo de Inserciones| Sincronismos posibles, se exhibirá un conjunto de exploraciones que registran la huella de lo onírico y lo mágico en lo cotidiano, esa cualidad que el escritor Alejo Carpentier bautizara como Lo real Maravilloso. En otra una sección de la galería, el visitante podrá apreciar un ensayo fotográfico –Donde la ciudad sueña– dedicado al litoral habanero y a su conocido muro limítrofe, El Malecón. 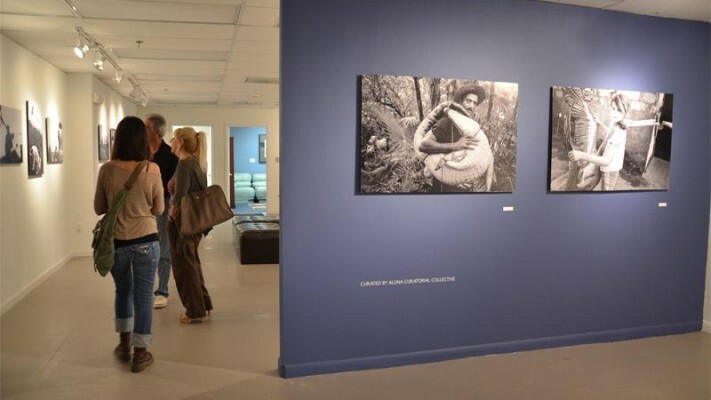 Complementariamente, Aluna Art Foundation exhibirá una colección privada de fotografías únicas de varios autores contemporáneos de la isla, entre los que figuran el desaparecido Alfredo Sarabia, Juan Carlos Alom, Rene Pena, Rogelio López Marín (Gory) , Gonzalo “Gonzo” González, Willy Castellanos y Cristóbal Herrera-Ulaskevich. Raúl Cañibano nos sumerge en las aguas de lo humano de tal modo que nos hace vivir aquel poema de Nicolás Guillén que clama: “Mire usted la calle. ¿Cómo puede usted ser indiferente a ese gran río de huesos, a ese gran río de sueños, a ese gran río de sangre, a ese gran río?”. En su larga jornada como fotógrafo documental por las calles de esa Habana deteriorada pero intacta en su fascinante vitalidad, o a través de la isla y sus campos poblados de asombro, su mirada ha recobrado un modo de representación que es indisoluble de la ontología de lo cubano; un conocimiento tan particular como universal de ese gran rio de hombres de todos los tiempos. Sin embargo, ese conocimiento abierto por naturaleza, es distante de aquél otro que en los sesentas alimentó la iconográfica épica de la Revolución Cubana. Primero, a través del retrato de sus líderes y grandes concentraciones populares; y luego, a partir de una visión idealizada de obreros y campesinos que en la llamada “Década Gris” se impuso como metonimia del pueblo en la construcción del “Hombre Nuevo”. 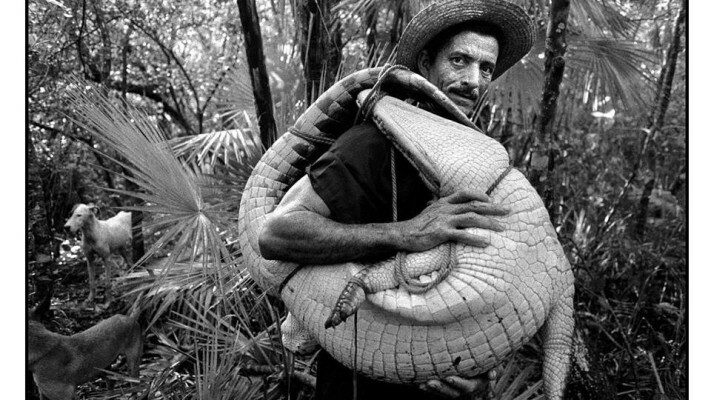 Los finales de los setentas llevaron consigo bajo la epidermis, la crisis del paradigma representativo de la fotografía documental de aquellos años románticos. Desde el recurso de la sugerencia y luego, desde el uso recurrente de una metáfora incisiva, otros fotógrafos retrataron la ausencia como forma de proyectar una realidad que se apartaba del archivo heterónomo existente. La representación del ser humano se tornó elusiva y la fotografía, bajo la indagación artística de aquellos años lúcidos, se abrió hacia nuevos sistemas conceptuales. La mirada de Cañibano redefinió la imagen del hombre común desde una tradición documental compleja, desplazando el concepto de realidad hacia zonas no acuñadas por la visión heroica del sujeto como ser social. Su cámara no persigue líderes ni figuras emblemáticas, sino a la gente anónima que transita las calles, y a los hombres y niños de las tierras guajiras a quienes retrata con la descarnada complicidad de lo real. Asumiendo el errar en la urbe y el viaje al campo como método, construye una fenomenología de la cotidianidad en una Cuba sin metáforas, con un ojo capaz de captar lo extraordinario en el instante común y de crear, al mismo tiempo, una experiencia de cercanía en el espectador. Sus series ensanchan el espectro de la imagen documental rescatando las infinitas expresiones de la relación individual con los otros, sin distinguir fronteras entre espacios públicos y privados. Su fotografía antropocéntrica va al hombre genérico (niño y niña, mujer, travesti, adolescentes o ancianos de ambos sexos) desde el vastísimo registro de cuanto le constituye y le hace tan común como único; tan poderoso como vulnerable; tan cómico como trágico; tan solitario como solidario; un registro que de igual forma genera una respuesta emocional que puede ir desde la ternura y la compasión hasta el escándalo o la distancia irónica y que, sobrepasando la multiplicidad y complejidad que es capaz de abarcar, nos lleva a descubrir que ningún extraño es del todo ajeno a lo que somos. Las fotografías de Cañibano contienen una lección de proximidad que escapa al quemante sol de las ideologías y a la sombra del tiempo: alumbran la condición humana y el vínculo que nos anuda a los otros. En torno a la representación fotográfica de La Habana hay infinidad de referencias. A Cañibano le interesa su arquitectura en tanto dialoga con el ser humano. La metrópoli surge como espejo de los deseos para el lente voyerista que persigue el libre vagabundear del prójimo, con su carga poética: es La Habana en tiempos de ocio en el que caben el festejo, el amorío, el descanso, y los gestos de la convivencia. Puede atraparlos en los imprevisibles escenarios de la calle o en interiores que a veces escudriña a la luz de las velas. Su cámara errante merodea a menudo en el litoral Habanero y en el muro que lo delimita: el omnipresente Malecón que es también una frontera del no-tiempo, un espacio de deshoras, de encuentros y desencuentros, en cuyos alrededores las escenas se multiplican a veces teñidas con esa aurea que hizo sentir a André Bretón -de paso por la ciudad-, que había entrado en territorio surrealista. Cañibano busca formas repetidas, creadoras de ritmos, justo en donde lo cotidiano alcanza un modo de intensidad sin mito. En esa Ciudad de las Columnas, el paso del tiempo propicia narrativas a granel. Soberbia aún en su deterioro, La Habana es generosa hasta el derroche en instantes-decisivos que el fotógrafo le hurta a la vida. Aprovechando el orden de las coincidencias, crea paralelismos en escenas que son abrebocas de múltiples lecturas potenciales, aunando situaciones que pueden tener una relación de afirmación o de contradicción, desde la carga conceptual de la imagen. De este modo reconstruye la vida –como lo hiciera Joyce en su Dublín natal-, desde una visualidad que capta la caótica convergencia de la experiencia urbana usando la simultaneidad de situaciones disímiles. La mirada de Cañibano recorre la ciudad abierta develando sus espacios, alimentándose con ese sentido histriónico del cubano que, como una vez dijera el crítico Juan Antonio Molina, se entrega gustoso a la pose y al juego teatral. A La Habana se le ama, aunque ya no sea más como la viera Luis Cernuda, “hermosa, aérea, airosa, un espejismo”; y porque sigue siendo para cada habanero la “ciudad con más ventanas abiertas”; o, tal y como la viviera Fayad Jamis: “Este es acaso el verdadero centro del mundo”. Series como Ocaso y Fe por San Lázaro, reformulan el imaginario de dos segmentos históricamente sensibles a la retorica de la prensa, y a un exotismo anclado en la iconografía fotográfica del subdesarrollo. Ocaso registra la sobrecogedora soledad y abandono de la vejez en Cuba, como metonimia de las grietas del sistema. Captadas en una institución o en las calles de la capital, las imágenes exploran una faceta poca divulgada aunque bastante visitada por otros documentalistas de los noventas. Cañibano acepta el desafío de esta retórica y construye un emotivo documento social de profundo alcance humano. Resuelta con la elegancia de la madurez visual, Ocaso se impone como una experiencia cognoscitiva que opera desde la catarsis. La serie trasciende el sentido de cada toma inicial, esbozando el relato de un mundo alienado por la indolencia social. Es una visión pesimista, pero que rescata el valor excepcional de los gestos individuales que reafirman la vida en su inquebrantable dignidad. Una exploración análoga del drama ocurre en Fe por San Lázaro, serie que ahonda en la pervivencia de la religiosidad en Cuba. Cada 17 de diciembre, miles de devotos se congregan en la Ermita del Rincón, a escasos kilómetros de Santiago de Las Vegas, para reencontrarse en procesión penitente, con una de sus figuras más veneradas: no Lázaro, el resucitado, sino el mendigo de la parábola de San Lucas, Babalú Ayé en la Santería, dueño y señor de las enfermedades contagiosas y protector de los enfermos. Las fotografías de Cañibano abren un paréntesis de elocuencia sobre el tema. El conjunto elude la secuencia lógica de causas y efectos, pero logra una singular coherencia gracias al poder sugerente del plano cerrado. Esto le confiere a Fe por San Lázaro un marcado espíritu cinematográfico. Ciertas imágenes se deshacen en ambigüedades para luego recomponerse en la lectura del espectador. Algunas recurren a paradójicas coincidencias, situaciones demasiado fortuitas para ser obra del azar, y demasiado auténticas para ser producto de la manipulación. Entre todas, sintetizan esta legendaria peregrinación de penitentes cuyo único deseo es devolverle al Santo, con las monedas de la devoción, el milagro de los favores concedidos. Cien años de soledad, obra cumbre de la literatura latinoamericana, surge del viaje que llevó a García Márquez, muchos años después, de regreso a la tierra del origen y al deseo de “dejar constancia poética del mundo de mi infancia”. De modo paralelo, Cañibano sintió el llamado de la Tierra Guajira donde vivió parte de su niñez en el ingenio Argelia Libre del poblado de Manatí, en la provincia de Las Tunas. Tierra Guajira se inspira en ese retorno que es tan geográfico como afectivo, dando origen a la más lírica de sus series, y a la que define el viaje como recurso, y la fotografía como ejercicio de convivencia. Realizadas como ensayo a largo plazo, la serie contiene la poética de una alianza indisoluble entre la tierra como fuente de vida, el hombre que la trabaja y las animales que la habitan. Es una mirada descarnada–como la vida en el campo-, pero que registra la sensibilidad del guajiro a través de su ritualidad diaria, sea en el trabajo, las celebraciones, o en la intimidad de esos hogares de puertas perenemente abiertas. Tanto las imágenes urbanas como las rurales, son tomadas en su mayoría en momentos de ocio –ese espacio ignorado por la fotografía que le precedió. Pero mientras en la ciudad se advierte una atmósfera de aislamiento y fragmentación, en el campo predomina una unidad interior que proyecta el imaginario de un mundo apacible, sin fisuras. Así, el trabajo simultáneo del fotógrafo en ambas series establece un contrapunto revelador a nivel estético y sociológico. Es muy posible que las fotografías de los niños funcionen como autorretratos, en un intento por rescatar las huellas de una infancia borrosa en la memoria. Confabulándose con sus juegos, el fotógrafo capta una lúdica poderosa capaz de doblegar la realidad, y recrea una instancia particularmente bella de su relación con los animales, construida sobre la certidumbre de que no es posible la vida de un reino sin el otro. 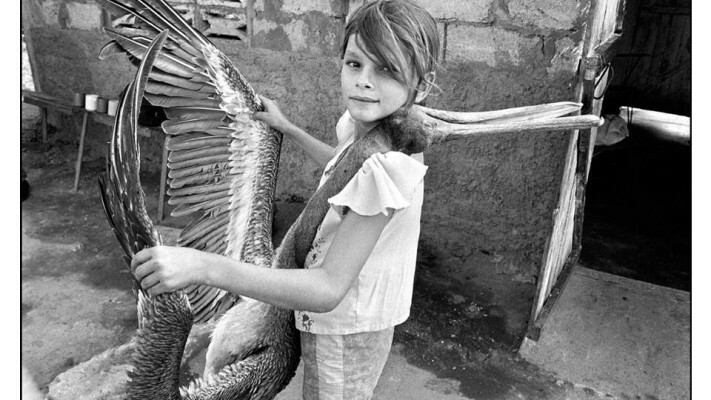 Si “la literatura es la infancia al fin recuperada” como plantea Georges Bataille, la fotografía de Raúl Cañibano es la recuperación idílica de esa Tierra Guajira a través de una cámara que mira la realidad con los ojos del niño que fue y le devuelve la inocencia. *Publicado en el cuaderno “Raúl Cañibano”: PhotoBolsillo. La Fabrica, Madrid, Spain, 2012.